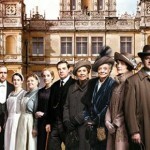 Home » Drama » Does Julian Fellowes have a point re: Downton Abbey 5? Historically, from a Doctor Who broadcast standpoint, the concept of same day transmission has long been the subject of what has sometimes been a rather heated debate over the years. While this wasn’t even in the wheelhouse in the pre-Internet days, with today’s over the top social media fascination with the likes of Facebook, Twitter and YouTube, it’s virtually impossible to not be bombarded with spoilers unless you just completely shut off from the outside world and watch TV Land until a series premieres sometimes several months following its actual completion on the other side of the pond. Finally finding a way to figure it out, the most recent series of Doctor Who and Mark Gatiss’ “An Adventure in Space and Time” were both aired same day in the UK and America. More recently, the 50th anniversary special, “The Day of the Doctor”, was actually simulcast at the same time, same day in November 2013 where it was named the largest ever simulcast of a TV drama by the Guinness Book of World Records. The creator/writer of Downton Abbey says it’s now time for the hugely successful British period drama to follow in the footsteps of Doctor Who with a same-day transmission on ITV and PBS to avoid any transatlantic storyline leaks. “The difficulty that we have is that people are discussing the series as it happens online before America’s seen it and on the internet we’re all in the same company. 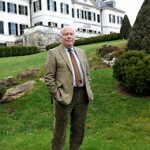 It’s madness”, said Fellowes in a recent Telegraph interview. That said, the premiere of series 4 of Downton Abbey on PBS in January 2014 didn’t seem to suffer too much for having its premiere several months after the series ended in the UK as a record 15.5 million viewers tuned in to see how the Crawleys would adapt to life without Matthew. The elephant in the room comes in to play when you have a major plot issue the likes of Lady Sybil dying or Matthew headed towards a fatal car accident and trying to avoid those spoilers for several months. 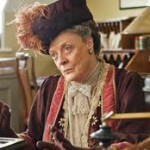 So far, it hasn’t seemed to matter with the Downton Abbey audience. The benefit of the word-of-mouth buzz and promotional opportunities that take place for the months leading up to the PBS premiere has, so far, outweighed the negatives. So far. It varies series to series which is why you saw series 3 of Sherlock air within weeks of the BBC broadcast. Not optimum but a step in the right direction given the fact that the audience is by far younger and more in to social media which blew up after the BBC premiere to discuss how Sherlock survived his rooftop dive from St Barts. Who knows where this will end up with regards to the premiere of Downton Abbey 5. I can see both sides. Julian Fellowes jokes about what he’d like to see and what will probably happen saying: “I don’t have enough sway to choose my own clothes. It’s what I’d like but who cares what I think. What say you? 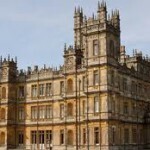 Is Julian Fellowes’ ‘Titanic’ a ‘Downton Abbey’ at sea?